Alive! Men’s Gummy Multi / 75 ct - Nature's Way®. Adults chew 3 gummies daily. Not formulated for women. If taking any medications, consult a healthcare professional before use. 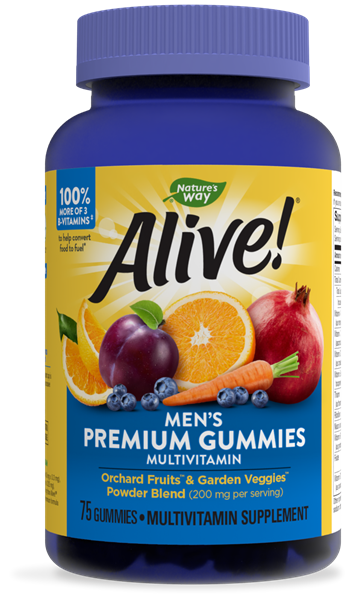 A gelatin-free men’s 50+ gummy multi-vitamin with 15 vitamins and minerals.